Product Managers love Seal-Spout pour spouts because of their low cost, about a penny a spout, and universal acceptance as a pouring solution. Everyone knows how to use a Seal-Spout pour spout! 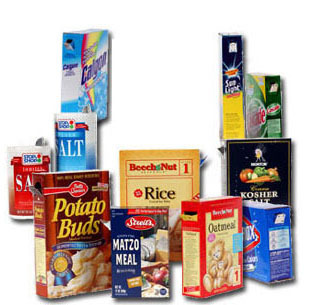 They have used them on salt, dish detergent, rice, powdered milk and sugar packaging from some of the world’s leading brands! This familiarity and the ease of use of a pour spout make it a great option when you are considering your next packaging design. Product Managers also love the flexibility and freedom that Seal-Spout pour spouts and spout inserting machines afford them in choosing their cartoners. Seal-Spout spout inserting machines can be integrated with most vertical cartoners, food packaging machines, packaging systems and filler systems. They can be 100% washed down and steam cleaned. Our spout inserting equipment can be configured for both right- and left-hand operation and operate in a range of speeds from semi-automatic to more than 300 spouts per minute. Seal-Spout pour spouts eliminate consumer frustration and product wastage through an innovative, easy-to-use design. Our pour spouts preserve the contents from contamination, moisture and accidental spills; they are FDA approved for food products and have a 60 year history of consumer-friendly use. Seal-Spout pour spouts come in a variety of colors, shapes, sizes and materials. Our pour spouts can be designed to meet your custom packaging needs. Specify a Seal-Spout pour spout for your next packaging design! Build brand loyalty with easy-to-use pour spouts!